Intense red-ruby colored red wine blend characterized by aromas of ripe red fruit combined with hints of vanilla, mocha and spices. A balanced taste, with very soft tannins and a long and persistent finish. Pork chops, beef stew, beef stroganoff, lasagna, and comparable dishes served with tomato-based or barbeque sauces. Best Buy. This blend across different regions of Portugal celebrates the voyages of Portuguese explorers in the 15th and 16th centuries. 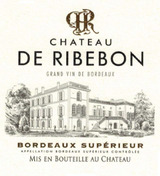 It is a juicy, ripe wine, well structured and rich. With warm red fruits and balanced acidity, this smooth wine can be enjoyed now. A round, juicy red, with chocolate-covered cherry and macerated raspberry flavors mixed with spice, grilled herb and smoky mineral details. Moderate tannins. Touriga Nacional, Baga, Syrah and Alicante Bouschet. Drink now through 2020. 29,000 cases made.